For many years, Chamberlin ‘s and Joan Robinson’s price theory of monopolistic competition had come to be generally accepted. According to This theory, the firms were able to act atomistically on the principle of profit maximisation without fear of rivals’ reactions. They fixed prices so as to maximise their profits and this they did by equating marginal cost to marginal revenue (Me = MR). Out empirical studies made by Oxford economists under the leadership of professors Hall and Hitch (Price Theory and Business Behaviour) showed that the firms did 110tuse the marginalist rule (MC = MR) and that oligopoly was the main market structure in the business world. According to lIall and Hitch, the firms did not act atomistically or irrespective of what their rival firms did. Rather they arc continuously watching’ the reactions of thc rival firms, The traditional theory could not adequately explain the oligopolistic interdependence. 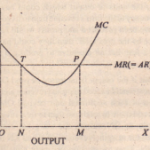 In such a situation, the firms do not attempt to maximise short-run profits by acting on the marginalized rule (MC = MR) but aim at maximising long-run profits by acting on the average-cost principle, is, the firms do not set their price and output at the intersection of MC and MR curves but they set them at a level which covers the average variable cost, (AYC) and average fixed cost (AFC) and normal profit margin in the bu. incss in question. TIlLISP = AYC + AFC + Normal Profit. 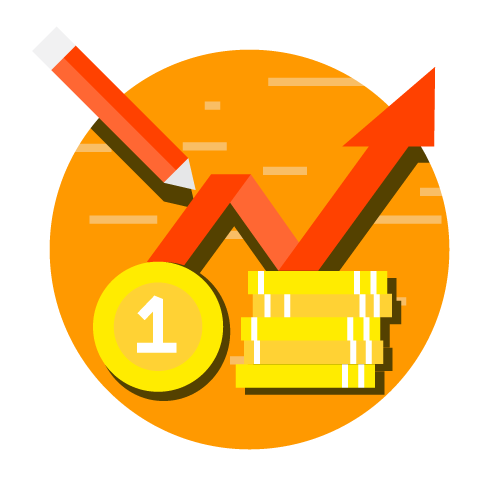 Firms do not seck abnormal profits for fear of to accept the prevailing price and has no option, there Core, the question of profit maximization does not arise. In the case (If monopolistic competition and absolute monopoly, the entrepreneurs are in a position to fix their price and maximize their profits. But in the case (If oligopoly, profit maximization cannot be considered a valid assumption. The oligopolist has both the desire and the power to achieve a secure position. In such a market situation, therefore, the desire for security rather than the desire for maximum profit rules the entrepreneur’s mind.